Once in a while, something happens to carpets that requires some kind of repair — a seam pops open; you start to notice ripples in the traffic area, or frayed edges near the wall. 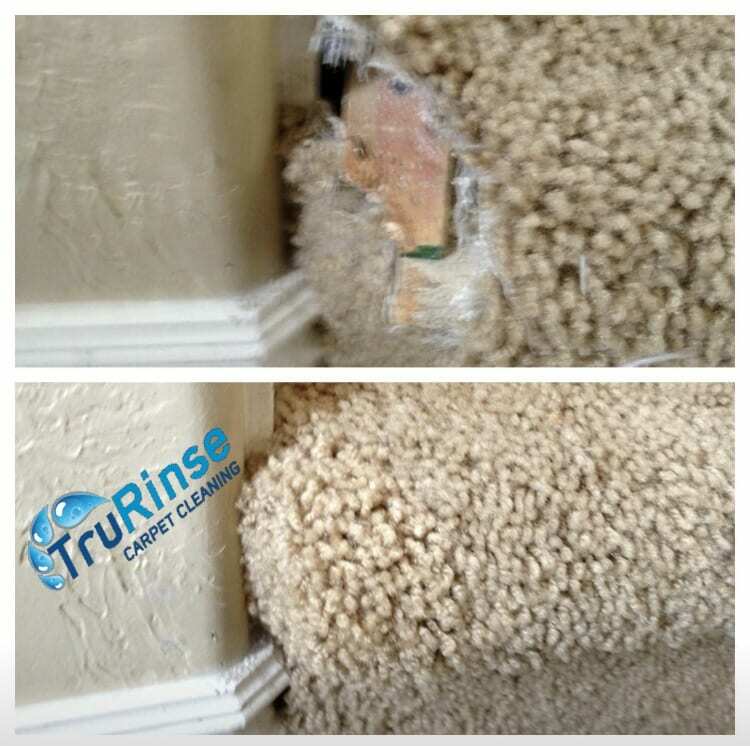 Here at TruRinse, we have the knowledge and experience to handle virtually every repair, restoring your carpet so you don’t need to replace it. We can handle flood damage, seam repair, pad replacement, carpet re-stretching, carpet patching, relaying and any other repair. Our experts are the best in the business… there is nothing they can’t do! We have the proper training and experience to analyze the need, pose a cost-effective solution, and address problem areas using the appropriate techniques and equipment. When you notice loose corners, ripples or fraying, give TruRinse a call and let us come take a look. Our quality workmanship could save you hundreds of dollars in replacement costs! As a professional organization, we are involved with a number of restoration companies and we adhere to all the current industry standards.